Living in the South, we're all about nature and outdoor living here, so Magnolia leaves seemed a natural choice. 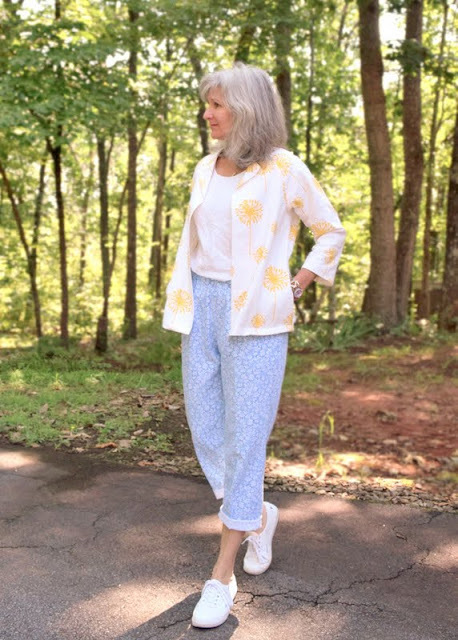 We enjoy a grand old (50+') Southern Magnolia to the side of our house that shades our chickens, as well as a smaller Little Gem hybrid variety my husband planted a few years ago beside our drive. Both bloom extensively and effusively and there's nothing like the smell of a magnolia bloom wafted on the warm summer breeze! Too early for blooms yet this season, this bloom is from last year. But look at those beautiful, glossy leaves. That's what I wanted to use. Thought I'd show a closer view again of how the wreath was put together. 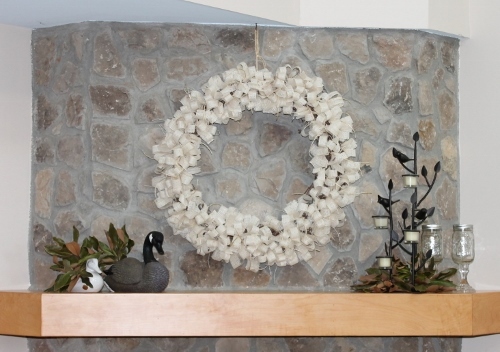 Our corner fireplace was built of rock with a custom maple mantle. See how it wraps around? 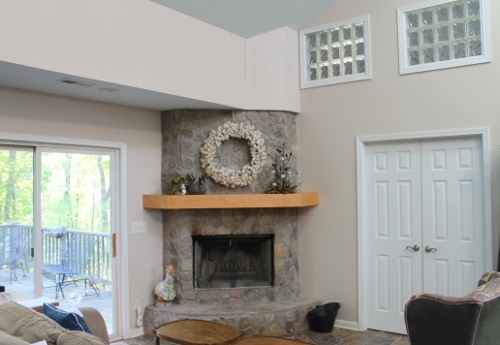 This is actually an odd place for a fireplace: in a corner, topped off (shortened!) by a bulkhead, soaring ceilings to 30' above that, our Master Bedroom doors to the right, sliding glass doors leading to the back deck to the left. Odd. But it works. Simple, bringing a little bit of nature into the house. I also used Magnolia leaves in a few other places throughout. They've dried beautifully keeping the glossy green leaf top, with rust/browns peeking out here and there from the underside. After picking the branches of leaves, while they were still fresh-cut I arranged them how I wanted. After a few days they've dried nicely. 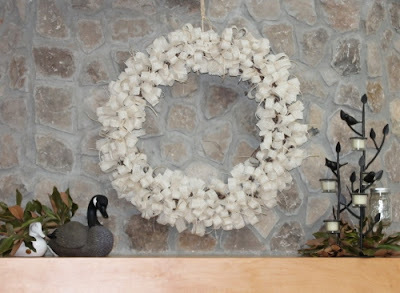 Your burlap wreath looks as if it were custom made for your fireplace rock wall. (Ooops, it was!) Seriously, it could not be more attractive.